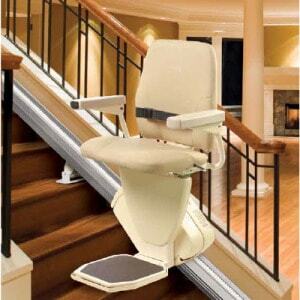 Discover your lost mobility in your Long Island home with a stair lift. Here at StairGlide NY, our main priority is that you have full access to your home, whether it’s a disability, injury, or other cause that’s holding you back. That’s why we offer a wide range of options, such as straight and curved stair lifts, along with wheelchair lifts and ramps. With stair lifts, you’ll no longer have to rely on relatives or friends to help you navigate your own Long Island home. Instead, you’ll regain your independence and feel truly comfortable in your own home once again. In addition, moving to a smaller home will no longer be a necessary option. You can continue to stay in the Long Island home you love and may have had for years, all while experiencing greater comfort with stair lifts. However, even if you do have to move to a different house later on, we’d be more than happy to reinstall your stair lift in your new home for you. StairGlide NY has been reliably serving our customers for years, who are all completely satisfied. That’s because our Long Island stair lifts can change your life. You’ll have complete independence in your home once again. In addition, all of our products come with warranties, so you know you can rely on them. They’re the best way to ensure that you always have access to every part of your home, without fail. This is further supported by the fact that our stair lifts will continue working, even if there’s a power outage on Long Island. That’s because they have their own power source, ensuring that you’ll still be navigate your home with no interruptions. All of our products not only bring complete mobility, but do so safely. This is how you know that you can rely on these Long Island stair lifts to assist you when you need help. However, if there’s an issue with your chair, we’ll fix it as soon as possible. In fact, many of our services are available 24 hours a day for your convenience; mobility in your home just isn’t something that can be put on hold. In addition to having models for sale, we also offer rentals if you just need a stair lift for a short period of time. This illustrates just how much we try to meet our customers’ needs. Besides just homes, we can bring our innovative products to business as well. Just a few examples are public buildings such as libraries, churches, and doctors’ offices. We believe that a stair lift can benefit the mobility of people everywhere on Long Island. This is evident by our century of experience. In addition, our skilled installations usually only take about two hours, so you can begin using your new product as soon as possible. To get in touch with StairGlide NY, you can call us at (631) 647-8855 or visit our showroom in Babylon. We look forward to showing you our extensive Long Island inventory of stair lifts. In fact, we’re sure that we can help you pick out one that’s perfect for your home or business. We aim to bring greater mobility and complete customer satisfaction with every product we sell.